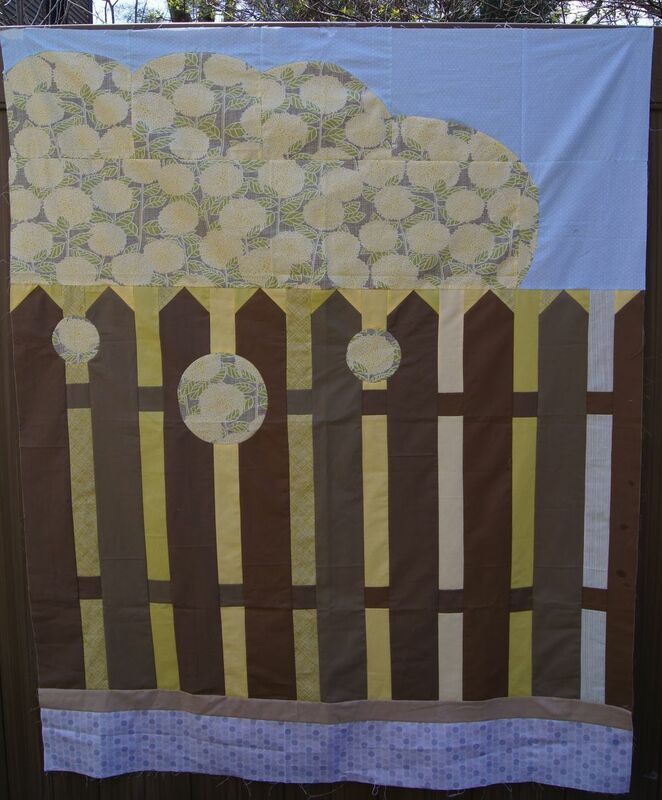 Here is the completed Fence Quilt with the neighbor's hydrangea, peaking over and through the fence! Quilting the wood grain in the fence came out well. I'm also really happy with a tiny meandering quilting over each cluster of hydragea blossoms. Here's the plant, the fence and the quilt. The quilt is based on a view from inside the yard rather than looking over the front gate as in the photo. Fun!